September 14, 2014. By Violi Calvert. AF September 16. Marco Selorio, an entrepreneur who gives Filipino youth a platform to showcase their dance talents and love for hip hop music, won the Outstanding Specialised Business of the Year award and was a Finalist for Outstanding Business Person of the Year. Fil-Aussie events organiser, Marco Selorio, was still getting over his jetlag from a successful trip to Las Vegas for a dance world championship when his company MAS Presents was nominated for two awards in the recent Auburn Local Business Awards. Much to his delight and surprise, Marco won the Outstanding Specialised Business of the Year award and was a Finalist for Outstanding Business Person of the Year. Marco posted on FB: “I didn't prepare a speech tonight. I wasn't expecting to win at all. I was quite content on being a finalist, chosen among many thousands of businesses, that was enough for me. And to have my mom, Jo and Maribelle with me was awesome”. 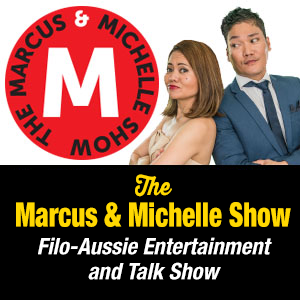 Marco who migrated to Australia with his family from the Philippines at the age of 13, established his first company HOOPDREAMZ barely 10 years later. This was when he wrote the newsletters for the Kings Basketball Team. HOOPDREAMZ eventually evolved into an events management company, MAS Presents. He also worked for a finance/credit company for five years before devoting full time to his company and had since organised various events which, on the whole, involve young people. These include HOOPDREAMZ basketball events such as Jam Session in 2003, International Challenge Sydney Kings vs Talk n Text, basketball events - Jam Session (2003), International Challenge Sydney Kings vs Talk N Text (2004), Filipino Night with the Sydney Kings, Smart Gilas Tour to name a few. He also organised Club One, his first over-18s club event in 2002; concerts of artists from the Philippines; dance events such as Groove Dance Challenge, World Supremacy Battlegrounds, Champions Tour and the list goes on. Working with both global and local artists, Marco has blazed the trail in the world of hip-hop dance competitions and urban entertainment in Australia.